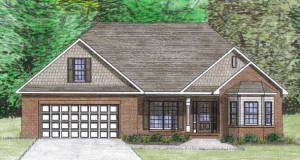 After many requests from baby boomers wanting to downsize their living square footage, but not give up the bells and whistles of a larger home, we are excited to introduce THE FITZGERALD. Main level living at its finest…. The Fitzgerald is an open-concept, 2280 square foot rancher featuring a lavish master suite, large kitchen with bar seating and breakfast area, formal dining, two more bedrooms with walk-in closets, and a bonus room upstairs. The first Fitzgerald will be built in Hidden Meadows starting in February, and will also be built in 2 new locations that Smithbilt will announce next week. 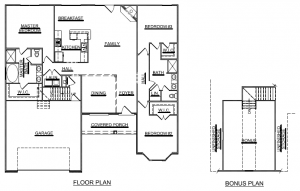 I am interested in this location, plus this floor plan. Do you have a final price to build this house in this location? We expect the price for The Fitzgerald in Hidden Meadows to fall into a price around the mid $200s, and obviously the price can fluctuate based on the finishes (granite, hardwood, tile, etc. ) chosen by buyer.